Lick it,bite it or use a straw to sip. 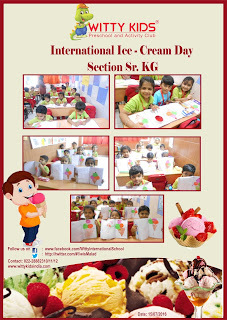 So many flavours ,what to choose? 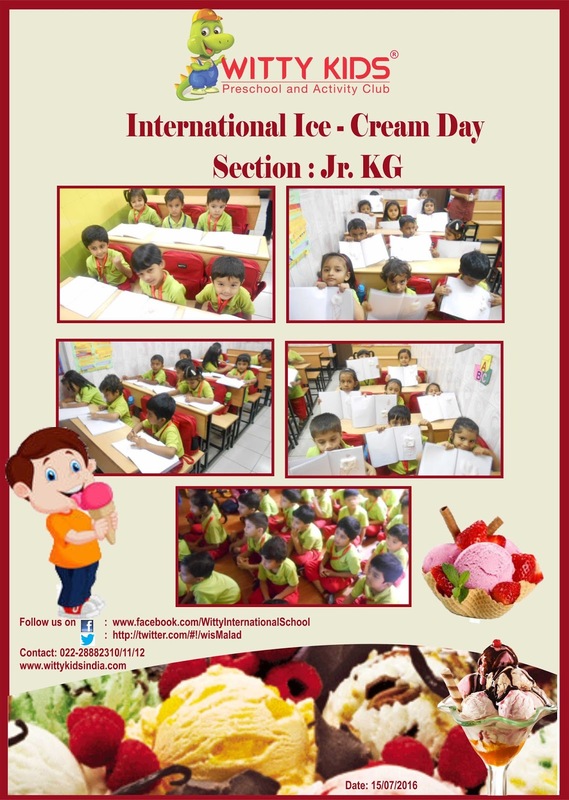 The scrumptious taste is hard to lose! 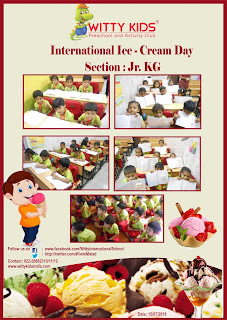 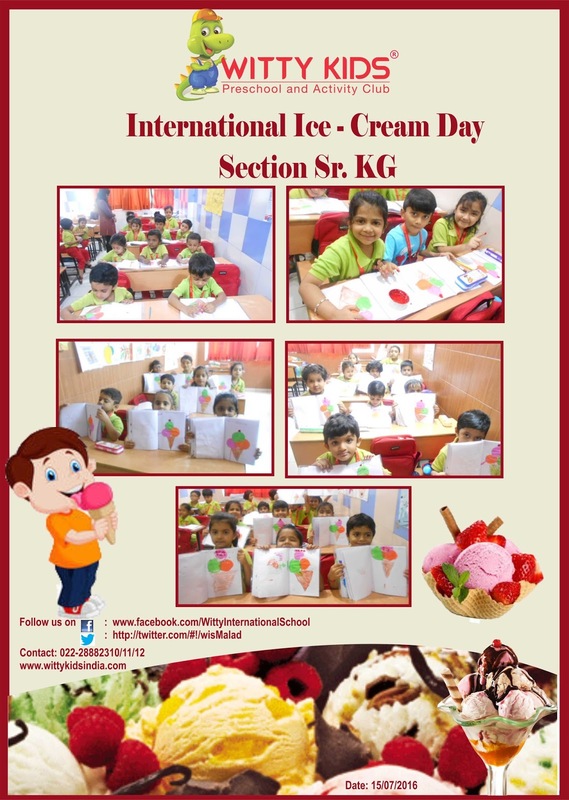 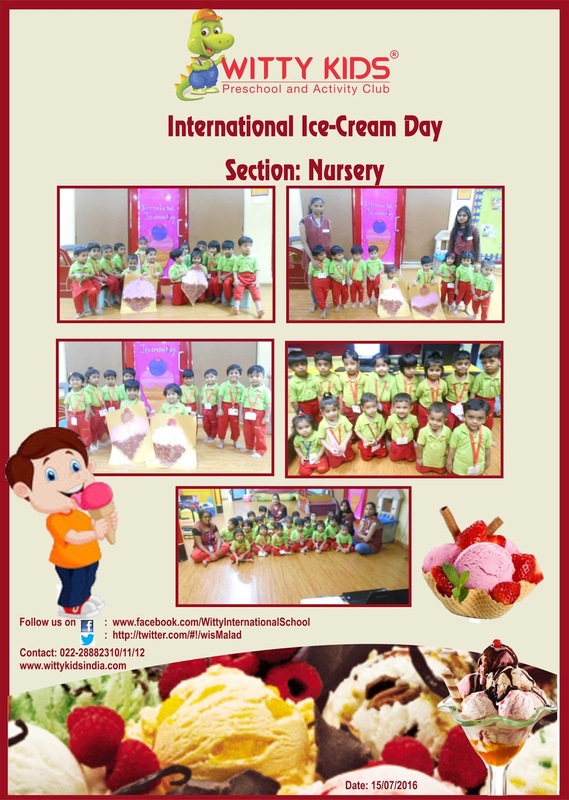 The little wittians of WIS celebrated International Ice cream Day on Friday, 15th July 2016 with great enthusiasm.The babies of Play group and Nursery section did a group activity of balloon dabbing on an ice cream cone cut out, the Jr.KG kids drew ice cream cup and stuck cotton on it and Sr.KG children drew ice cream cone and did balloon dabbing on it.The entire pre-primary section also watched a short movie on how ice creams are made. 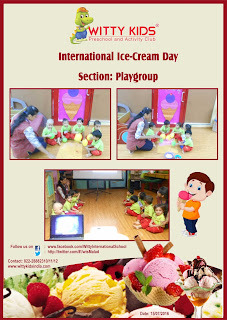 Overall, it was a great learning experience along with lots of fun and excitement.